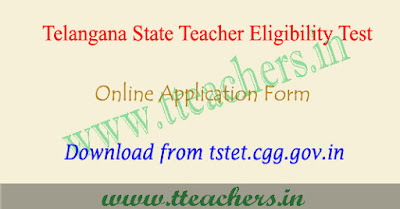 TS TET 2018 application form, tstet apply online 2018 last date : TS TET 2018 online application form has been released from May 2018. TSTET 2018 is a state level entrance examination organized by Department of School Education, Hyderabad on the behalf of State Government of Telangana for the session 2018-2019. This examination is a gateway to attend Teachers Selection Test- TST. 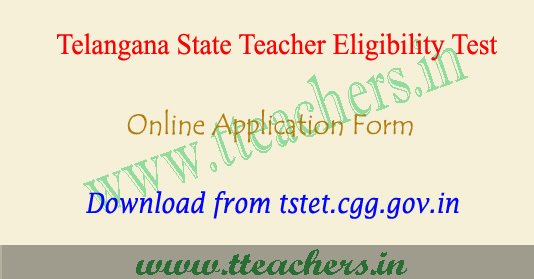 Candidates who intend to be teachers for classes I to VIII in schools may apply to TS TET 2018 in Telangana State which is conducted by DSE Telangana. Through this tteachers.in article, candidates can check information regarding TS TET application form 2018. Candidates can fill and submit the TS TET 2018 application form via online mode only. There is no other mode to get the application form. The TS TET application form 2018 has been announced from May 2018 and will be available till May 2018 (with late fee). After filling application form, there is no need to send the hard copy of application form. Application Fee : The application fee for TSTET 2018 (including examination fee) is Rs. 200/- (Rupees Two hundred only) for only Paper-I or only Paper-II or both. Candidates can pay the application fee through TSonline centers or Payment Gateway centres between May 2018 to May 2018 and submit TS TET 2018 online application form at http://tstet.cgg.gov.in between May 2018 to May 2018. Decide the mode of payment of fee. The candidates are not required to send hard copy of confirmation page to TSTET unit. However, the candidates are advised to retain the hard copy of the application i.e. confirmation page.